VORTEX MUSIC FESTIVALThe Festival Experience, Without the Festival Price!Lights, lasers, fireworks, projections, thousands of watts of heavy hitting bass and some of the top Aritists spread across our stages covering the best local, regional, national and international touring talent!Unlike other festivals and events who bring an awe-inspiring events with high prices...we are bringing YOU an epic three day/night camping concert experience with prices that will leave you smiling.We are proud to announce that in 2015 a portion of the proceeds will be donated to benefit families with the Families First Network along the Gulf Coast. For more info on the Families First Network CLICK HERE EXPERIENCENORTHWEST FLORIDA'S PREMIER MUSIC FESTIVAL Join us at Vortex Music Festival for 3 Days and 3 nights of camping, music, explosive visual effects, dancing, and other activities & attractions.TENT AND SLEEPING BAG REQUIRED. For those of you who don't deal to well living rustic, VIP CABINS ARE AVAILABLE at a decent price for the duration of the event.Contact us for more info, or purchase a VIP package, details are explained in the ticket summary.Food/Drink/Merchandise vendors will be on-site, but still bring supplies and food for Fri/Sat/Sun.Invite your friends, bring your music, bug spray, sunblock, hoops, gloves, poi and whatever else you might need throughout the weekend. Alcohol is allowed, but remember security and staff WILL BE onsite to monitor, and ensure its a good weekend for everyone.3 days 3 nights of camping, music, and fun in the beautiful Vortex Spring, lights, lasers, music, fireworks, and dancing till sunrise!! Onsite activities include swimming, canoeing, kayaking, tubing, zip-lines, water slides, LIFE-SIZE games, live speed sketching, body painting, vendors galore. Take an adventure through Forever Green Forest, a stroll through the Wondering Market, or take a midnight swim under the stars at the crystal clear spring! !You have the opportunity to experience nature, music and dance unlike anywhere in the world. The spring-fed rivers, the forest, the crystal clear Vortex spring, and the night...own it.Your imagination is the only limit to your adventure!! !The show, The Music, The People, Join us for a weekend in our world!DUE TO THE PARKS CAPACITY SPACE IS LIMITED, WHICH MEANS TICKETS ARE LIMITED!! GET THEM WHEN YOU CAN! !We're conveniently located in central, Northwest Florida, a short drive from the sugar white sands of the Emerald Coast. The only music festival located on a natural spring.---BASIC REGULATIONS---- You can swim in the springs.- You can bring alcohol although no glass will be allowed.- You can have campfires/fireworks in designated area's.- You CAN NOT bring drugs or weapons.- You CAN NOT bring pets.- You CAN NOT bring children. Multiple stages, 50 artists, 3 days and 3 nights of memories!!! !Make them yours! !Weekend passes, Friday and Saturday passes, all include camping.- Check In/Camp Set-up begins Friday at 8am-Friday passes are good from 8 am Fri thru 8 am Saturday-Saturday passes are good from 10 am Sat thru 8 am Sunday-Sunday passes are good from 10 am Sun - 11 pm on Sunday.-Weekend passes are good from 8 am Fri thru 8 am MondayThere are NO REFUNDS for event tickets. This is an 18+ event and also a RAIN OR SHINE event, MUST provide VALID ID at time of arrival. -Join us beginning on Friday July 17th 8AM-Northwest Florida's Premier Dance Festival Event-Any questions, suggestions, or comments or to inquire about VIP services. 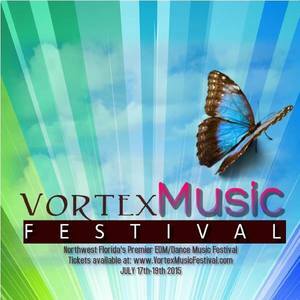 Contact Us At:-UnitedEDM850@Gmail.com -http://www.VortexMusicFestival.com -Via Facebook at www.facebook.com/VortexMusicFestFollow us on Twitter and Instagram also!